Lets be honest, so many of us are vain about our hair. We don’t want it getting destroyed by the harsh environment in the pool, be it a chlorinated pool or a salt water pool. It is for this reason that I started doing research about swim caps. Who knew there were SO MANY different kinds of swim caps?! There are caps for long hair, short hair, cold water, warm water, aerobics and laps. There are caps for swim teams and amateurs, triathletes and Olympians. I know, this is overwhelming.Take a minute, soak in the soothing joy of the Will Farrell picture, and then we can start. It’s not as confusing as it seems. The most important things to consider are: what you’re doing, where you’re doing it, and how long your hair is. 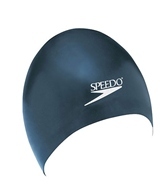 Swimming laps: You will want to look for a smoother and tighter cap, one made from latex or silicone. Silicone caps are better for long hair, but they are also a little bit warmer. Latex caps are better for vary short hair, they will be better at staying on your head. If you swim in a warm pool and get hot easily, consider trying a latex cap. 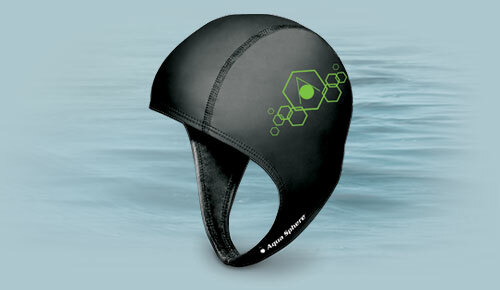 Water aerobics: This cap will just be used to keep your hair out of the way. The best caps for this are made from LYCRA , or spandex. These will keep you cooler and comfortable while also stowing your hair. Another great and super adorable vintage-style option is what is called a “bubble” cap. The are often available with or without chin straps, and you can find simple ones, or elaborately decorated ones. Swim team/ professional swimmer (racing in general): Olympians and many swim teams use super smooth molded silicone caps. These have no wrinkles and are therefore the most hydrodynamic. Triathlon: Many triathletes wear normal racing caps, but some who swim in colder water choose to wear warm insulated caps. That sums up the majority of the choices of swim caps out there. Keep an eye out for sizing so you don’t end up with a kids cap on accident. Finding the right cap for you can take some trial and error, so don’t be afraid to buy a few different ones all at once. Most of the time they aren’t too expensive and it is worth taking the time to find the best one. Do you have any tips, advice, or questions about swim caps! Post a comment below!